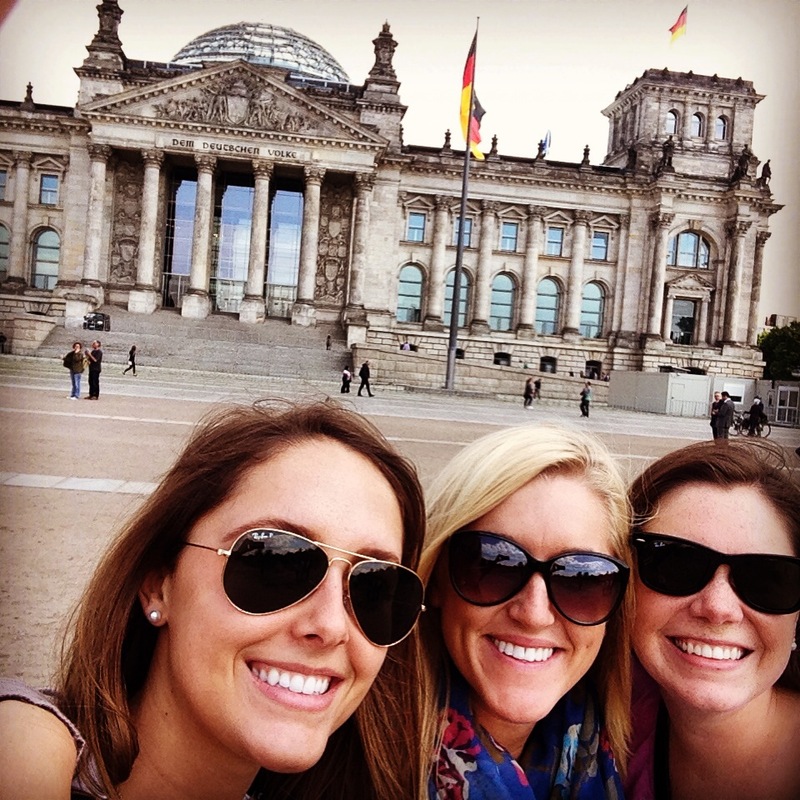 Hallo, Ciao, & Bonjour from Germany, Italy, & France ! 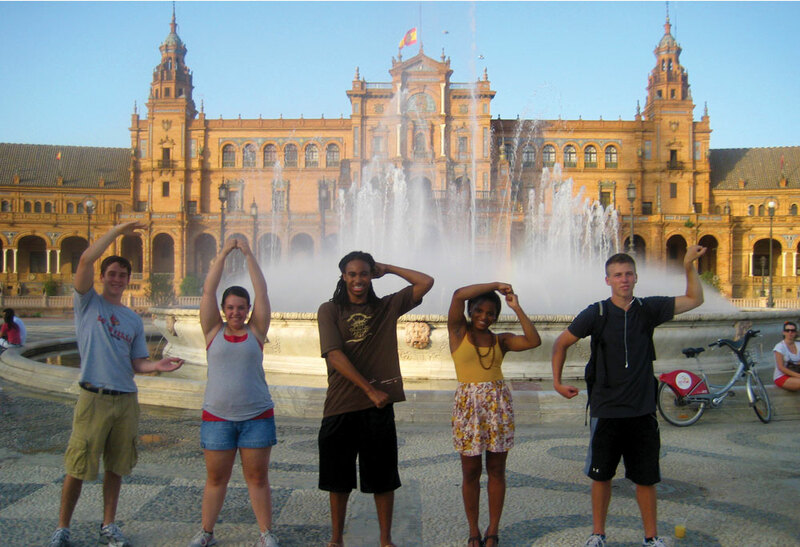 Today marks the beginning of our fourth week in Europe, and what an experience it has been! I am currently in Bordeaux, France in the middle of our study program, but I really want to talk about all of our travel adventures beforehand. Beginning in Berlin, Germany, three of us got to spend a couple days in a city that we all fell in love with! Of course, this being our first time in Europe, we were a bit confused and struggled with the adjustments of the food and mainly the transportation system, but we adjusted in no time! We got to see the Berlin Wall, Hitlers Bunker, which is now just a car park, the Parliament, and so many more sites and attractions. We got the opportunity to take a free tour with NewEurope who offer free tours throughout many cities in Europe and work solely off of tips, but the tours are very good (we’ve gone on 4 with them in 3 different cities so far). Our next stop was Munich, Germany which we quickly fell in love with. Everything is so clean and people are so nice and helpful. We got to spend a day at Dachau Concentration Camp on another NewEurope Tour, but we paid for this one and it was a very sobering experience. If you’re at all interested in the Nazi Party and Hitler, I would highly recommend you pay for a tour here to learn all the history. 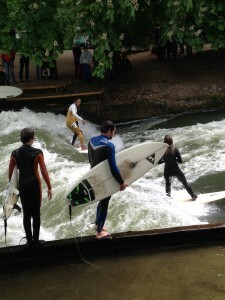 We also saw the surfers in the English Garden and ate at the famous Hofbrauhaus along with many other things! A tip for Germany would have to be, bring your water bottle! Water is more expensive than beer here and thus everyone drinks beer instead of water. We found ourselves filling our waters in bathroom sinks, I know it’s kinda gross, but desperate times call for desperate measures, right! 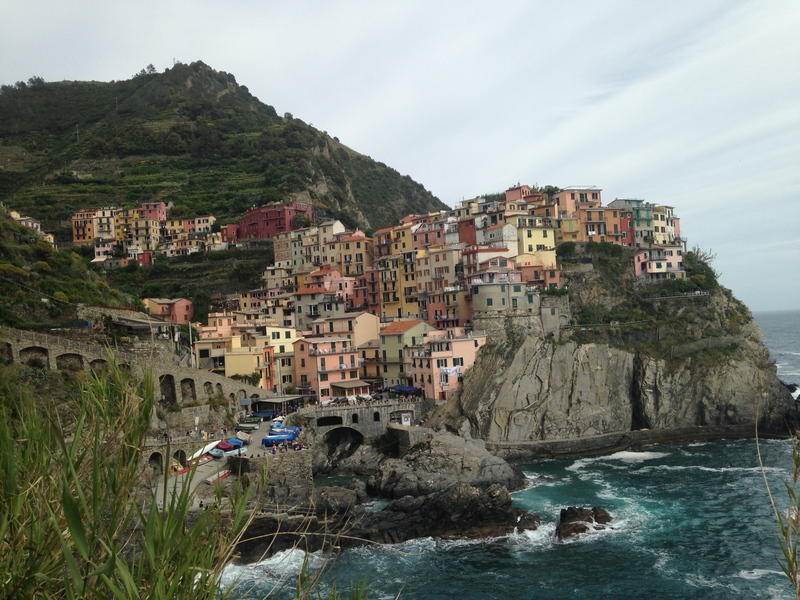 We also made stops in Florence, Cinque Terre, and Rome, Italy. My favorite of all of them would easily be Cinque Terre, especially because I am partial to the ocean, the beach and the beautiful warm weather. We stayed right outside of the 5 villages of Cinque Terre in Levanto and there is no possible way to describe how beautiful everything is here. We hiked up a mountain for 3 hours and got views better than any picture I’ve ever seen. There’s honestly no words to describe how amazing this town is, you’ll just have to go see it for yourself! Maybe you could say it’s like the Seaside, FL of America, but better with bright colors and flowers around every corner and locals roaming the streets, it’s perfect! I truly don’t understand how a place so beautiful could be so unheard of, this is definitely an up and coming place! I think that’s all for now, but I’ll be sure to let y’all know how Bordeaux is, the place we’re studying for 3 weeks in a few days! This entry was posted in Uncategorized by hrhowa03. Bookmark the permalink.